Guitarist Selwyn Birchwood’s fourth and latest album, Pick Your Poison is his most fully-realized release yet. Based in the blues idiom, it draws from gospel, soul and r&b as well. “There are a lot of different shades of blue,” he says. “And I like them all.” At 32, Birchwood is already an established journeyman musician. Birchwood was only 19 when he joined prolific Texas bluesman Sonny Rhodes’ band. He had only picked up the guitar six years earlier, but his combination of natural talent and dedication made him road-ready soon enough. Still, Birchwood admits that touring with Rhodes was a challenge. “I got thrown in the water with no floaties,” he says. The very first leg of the tour was 86 hours long, and involved traveling between shows in Birchwood’s hometown of Orlando, Florida and dates in Calgary, Alberta. “And then we continued on with a Canadian tour from there,” Birchwood recalls. “I got broken in really quickly; I learned what it was to be a band leader, how to run a band and how to travel.” Birchwood stayed with Rhodes for five years before venturing out on a career of his own. The guitarist’s years playing in front of audiences helped prepare him for the nerve-wracking competition, but that previous experience could only take him so far. “It’s one thing to know that people are judging you every time you step out onto a stage,” he says, “but it’s another thing to look out and see people with a pen and paper staring at you.” Birchwood says that the the Blues Challenge win was a springboard to get him and his band into the public eye. “And we haven’t stopped since,” he says. Shortly after that win, blues record label Alligator signed Birchwood to a record deal. His first record for Alligator was 2014’s Don’t Call No Ambulance. That record caught on in a big way with the blues community. 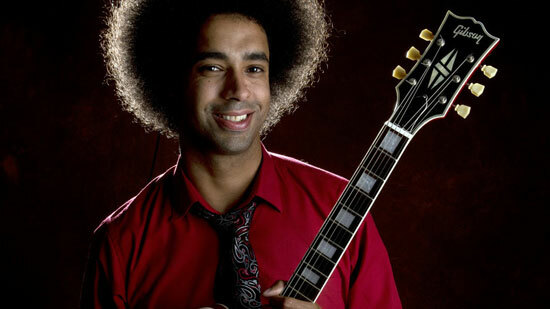 Even though he already had hundreds of live shows and three albums to his credit, Selwyn Birchwood was the 2015 recipient of the Blues Foundation’s “Best New Artist” award. The guitarist laughs when asked if he found it odd to be called a “new” artist after having played the guitar for more than half of his life. “I never really thought about that,” he says. He doesn’t mind the label, but he does take issue with the idea that he’s some kind of overnight success. “Man, it’s been overnight for several nights … for several years,” he says.